Second single “Beds are Burning” launched! 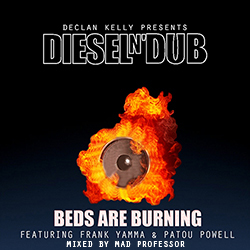 Declan Kelly launches the second Diesel n’Dub single, Midnight Oil’s hit Beds are Burning reinvented as a dub-reggae anthem featuring Frank Yamma and Patou Powell on vocals, and mixed by legendary dub master Mad Professor. Arguably one of the most highly celebrated political songs of all time, Beds are Burning was written by Midnight Oil in response to the land rights battle fought by the Pintupi people of the Gibson Desert region. We’re super stoked to kick off the Diesel n’Dub project with “The Dead Heart” music video, now screening on the Diesel n’Dub youtube channel. The clip pays homage to the deep sentiments of the song with visual references to the original video and the addition of two stunning art works contributed generously by distinguished artist Adam Hill, specially animated with his permission for the video. Check it out here! Follow Diesel n’Dub on Facebook & Youtube. Tune in to the Diesel n’Dub family! 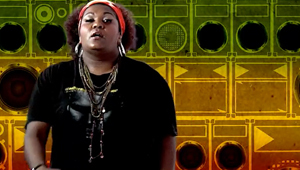 Coming up in the next few weeks we’ve got more awesome dub reggae music and videos to share so stay connected with all the Diesel n’Dub news and stories via our Facebook page and Youtube channel. Declan Kelly launches the Diesel n’Dub project! 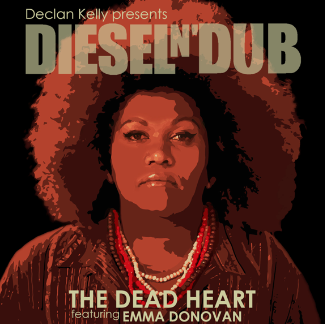 Iconic Australian hit The Dead Heart launches Diesel n’Dub in aid of raising awareness and funds for Indigenous literacy across the country. Featuring Emma Donovan’s powerful and soaring vocals, the track got the reggae-dub treatment by legendary Mad Professor (Neil Fraser) at his Ariwa Studios, London. 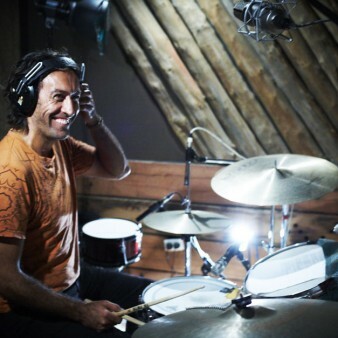 For both Kelly and Mad Professor, Donovan’s spine-tingling and heartfelt rendition of this classic song, first released by Midnight Oil on their Diesel and Dust album in 1986, was the standout choice with which to launch the project.